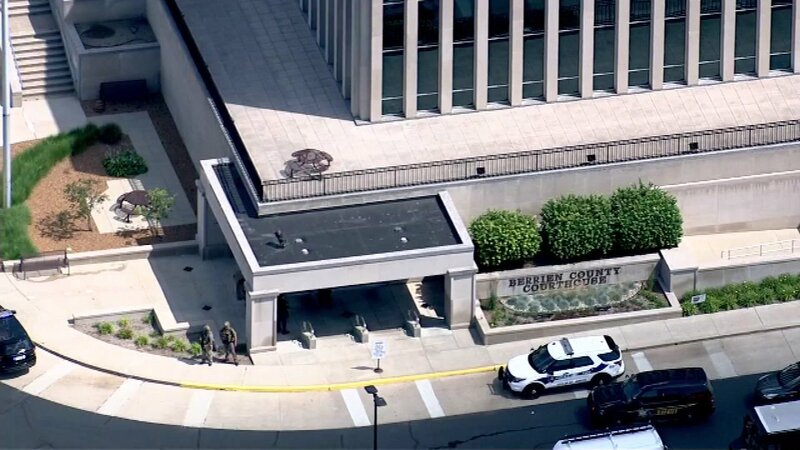 ST. JOSEP, MI -- A jail inmate trying to escape from a western Michigan courthouse wrested a gun from an officer Monday, killing two bailiffs and injuring two more people before he was fatally shot by other officers, a sheriff said. Please join me in praying for those affected. We will share more information here from MSP as it becomes available.